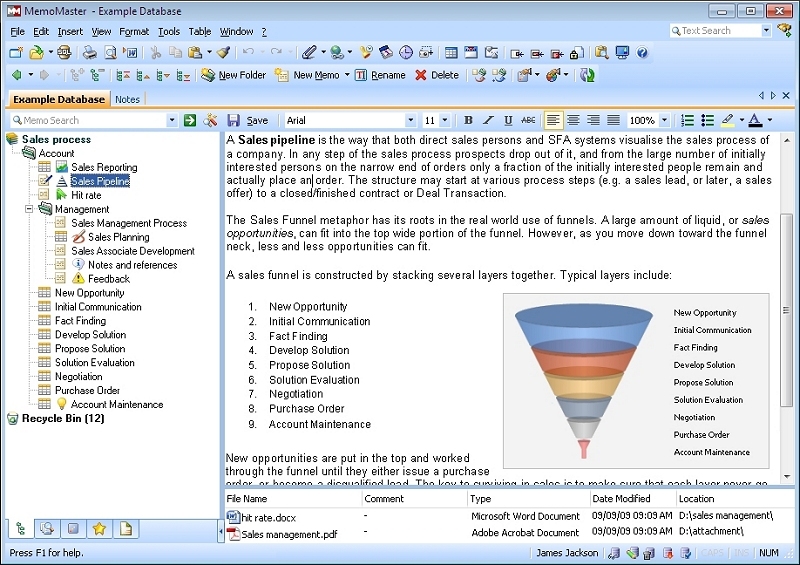 MemoMaster is a powerful MS-Word and MS-Excel compatible free outliner software.It administers information of all kinds in the familiar tree structure. Documents, tables, form fields, pictures and links to other Memos, e-mails, websites and files may be inserted in so called Memos.The Memo Search tool is able to search and filter for all content, dates and several search terms.The content may be edited with the internal word processing tool. ...... Folder or Memos can be highlighted or equipped with icons. Qweas is providing links to MemoMaster 4.5 as a courtesy, and makes no representations regarding MemoMaster or any other applications or any information related thereto. Any questions, complaints or claims regarding this application MemoMaster 4.5 must be directed to the appropriate software vendor. You may click the publisher link of MemoMaster on the top of this page to get more details about the vendor.